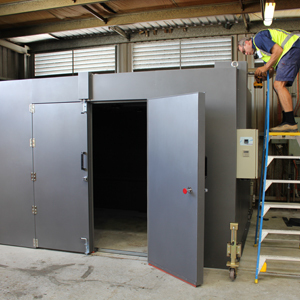 "Steridium recently completed the full custom design, manufacture, and installation of a walk-in curing oven in Carrara, Queensland - Australia. The client had requested the unit installed before the Christmas shutdown period, which resulted in a seven week total leadtime including a 100% custom design to their exact specifications. Our unique installation style resulted in an extremely efficient installation - taking only half a day." "2015 Saw Steridium expand its presence in Papua New Guinea, with the appointment Meddent as its exclusive agent for the country. 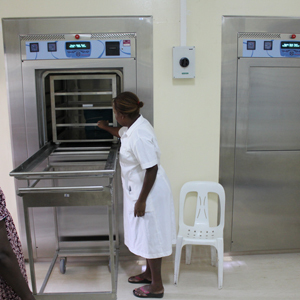 Meddent has achieved incredible success in less than two years with increased sales of drying ovens, incubators and autoclaves across laboratory, agricultural and medical fields. The core of their growth of the Steridium brand has been the exceptionally high level of technical expertise – giving their clients complete peace of mind at each stage through sale, installation, commissioning and preventative maintenance." 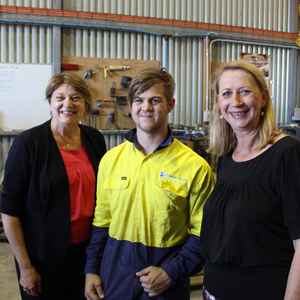 "Steridium welcomed a visit from MP Sharon Bird, Shadow Minister for Vocational Education. Sharon was able to meet with a number of members of our Apprentice Program and discover more about the skills developed in working on high quality medical and laboratory equipment. Also on show was our latest development in plant growth chambers – with infinitely adjustable intensity and variable spectrum through RGB LED Lighting cassettes. Coupled with Steridium’s class leading levels of temperature, humidity and Co2 control, these units offer unrivalled environmental control for plant research."